Whether you are a student at Twin’s Lewisham English Centre or you just live around the area, you guys will definitely find these pointers to great food hotspots in Lewisham useful. After all, while you’re studying here you won’t just want to head to fast food chains all the time, (you know which ones I’m hinting at!). Starting the day with a satisfying traditional English breakfast is always a great way to go, and for this, Maggie’s restaurant is the one to visit. Maggie’s is a family run business and has been around since 1983, and since then word of mouth has provided it with a lot of customers and a great reputation. It’s easy to find, too, just a few minutes away from Lewisham Station. 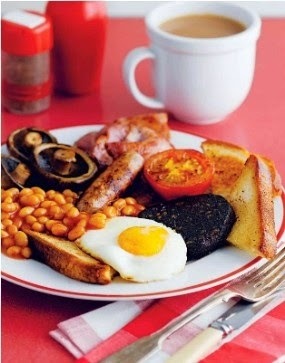 You can even invent your very own Full English Breakfast here! For just £6 you can choose from 20 items to create a breakfast consisting of all your favourite things, such as poached eggs, hash browns and black pudding. They also offer bottomless tea and coffee, and if you fancy a refill you won’t have to worry about getting up as the friendly staff come round regularly to see if you need a top up. Up for something different? 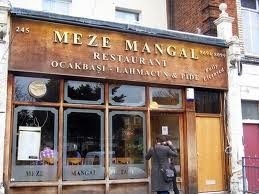 Meze Mangal, a Turkish restaurant tucked away on Lewisham Way, is definitely the place to visit with family and friends. Meze Mangal is well-known for serving authentic traditional Turkish cuisine combined with Mediterranean flavours and great ambience, as well as its welcoming and attentive staff. Whether or not you are into healthy eating, Meze Mangal never disappoints. The tarama salad made with fresh seasoned vegetables is an ideal dish for those who fancy a light lunch, or, if you want a real taste of Turkish cuisine, tavuk beyti and chicken kofta is the one to go for. The prices are reasonable, too; for £4 you can choose a selection of hot and cold starters, and the majority of main courses are under £10. 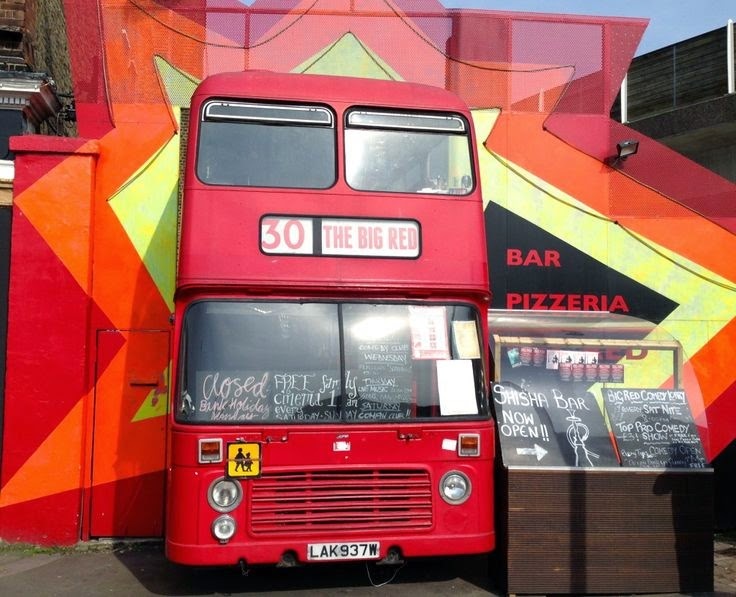 The Big Red Pizza Bus on Deptford Church Street should also be on your list of places to visit. Since opening in 2011 it has attracted many hungry customers with its eye-catching red bus appearance and its legendary pizzas made with fine ingredients. We’d also recommend you try the recently introduced handmade Italian egg pasta. At The Big Red Pizza Bus, you might also be treated to one of the exciting events the restaurant regularly hosts, such as live band performances and comedy nights. This restaurant is lively and a great place to have a catch-up dinner with some friends, and, what’s more, it’s highly affordable, (most dishes are under £10), so you won’t need to fork out too much money! Some popular signature dishes include freshly made ravioli, fiorentina pizza, and to complete your night you should definitely finish your meal with a Knickerbocker Glory. There are plenty of hidden gems in Lewisham, you just need to take some time to discover them, and once you do you won’t regret it, you might even become an expert in finding hidden food treasure! Some other food hotspots in the local area include Café Rhubarb and Custard in Manor Lane, or if you fancy something a little spicy, Babur, an Indian restaurant in Brockley Rise, is the one for you.